Yes it’s true….I am violently switching gears today… for eons ( or at least a week) it’s been all about fashion, fashion week etc but after an email from one of my oldest and dearest I just had a to share my tid bits with all you glamorous mom’s out there. In my little opulent den of beauty called Glam Lounge we have been touting this advice for ages and now that school has been back in full swing and we keep hearing the same stories over again… so this stuff is worth repeating. B) Before she can begin to even entertain any amount of face decoration she must pass the ultimate test of sticking to her two-a-day for two-three months. Why you ask? Hello eye infections, clogged pores, breakouts and I won’t even go into the rough stuff…you get the idea. C) Start with blush and gloss only – this will add to her girlish glow without the remote possibility of leaving her looking like “pretty baby”. D) As she approaches the obviously “older” age of twelve, ease her into the preferable order of mascara, shadow, then liner and for heaven sakes, be sure that you see a highly trained professional that can teach her the proper “how to’s” unless of course you want her to venture on her own yellow brick road of goth girl meets beach baby bronze. A current combo that I will never understand, and blame fully on the early Hillary Duff and her smokey eye loving makeup artist! First off skin care, start her on a gentle routine with a good cleanser, toner and moisturizer or sunscreen with exfoliation happening once a week only if she is not broken out to high heaven. Start with organic makeup if possible on the face. I love Afterglow minerals because it doesn’t have any of the yucky stuff… but there are plenty of other great brands to try especially Alison Raffaele who makes amazing concealers, foundations powders and primers or Nvey Eco which has a full range of organic cosmetics. 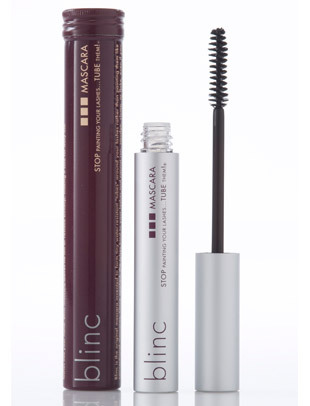 Look for mascara’s with a protein base that ‘shrink wrap” the lashes with little tubes like Kevyn Aucoin or Blinc these formulas come off easy as pie when you wash but stay on well during the day. And lastly monitoring her routine is essential, as a skin care professional I have been far too many girls that went unsupervised in the skin washing department only to spend a fortune on fixes later in life. I remember when I was in sixth grade I’d hide lip gloss in my backpack and put it on while walking to the bus stop so my parents wouldn’t notice. Oh, the things we do! oh the make up i wore in 6th grade…. When I was in 6th grade it was blue lipstick, sparkly nails and JNCO jeans….my poor mom. She would have loved the twice a day for two months rule…she just gave in to my hormonal rage! For the best results and to create a good “foundation” (had to use the makeup pun…), make a day of it with your teen and take her to Glam Lounge for Glam Girl 101!!! Hilary Duff is a good singer, and actress. Verry pretty.